For use in all terrains. Select your program and start prospecting for gold! 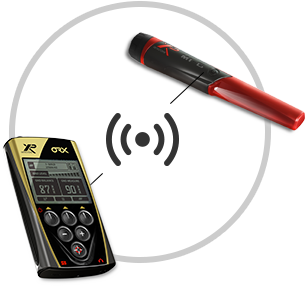 The ORX is a fast and selective detector. Easily locate good targets in close proximity to junk that other detectors miss. Weighing in at just 1 Pound 14 Ounces (870 grams) the ORX includes the patented XP LITE stem which has the combined advantages of an S-shaped stem and a straight telescopic stem. It enables you to deploy or fold away the device for transport in just a few seconds and to change the coil in an instant. The ORX is innovative in terms of metal detector design as it offers an unique system based on different wireless elements communicating via a digital radio link. All components – Coil, LCD Remote Display, Headphones and the optional MI-6 Pinpointer communicate wirelessly! No more cables to get tangled in or break. Choose from 2 Gold Program, 2 Coin Programs and 2 User Customizable Programs. 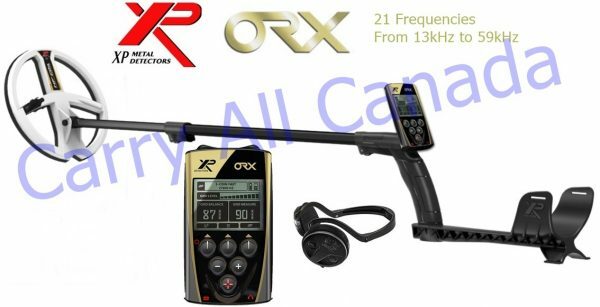 Whether you are an experienced metal detector user or a beginner, the ORX is easy to use. Powerful pre-configured factory programs enable all users to get started immediately! 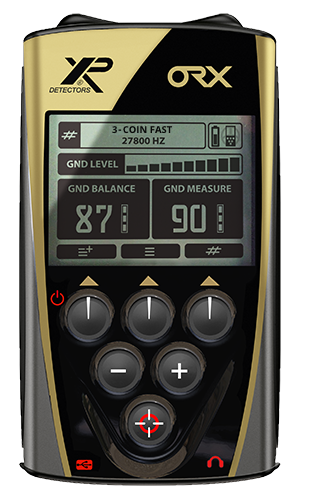 Expert detectorists can customize the settings and select advanced options. Wirelessly connect the popular MI-6 Waterproof Pinpointer to your ORX to unlock the following features on the MI-6 Pinpointer: Audio output to the ORX headset, Advanced Settings (5), Adjustable audio tone, Anti-interference system, Recover lost MI-6 pinpointer mode, Target zoom screen, 50 levels of sensitivity and extended pinpointer battery life up to 90 hours. The MI-6 is waterproof to 6 meters, 19.7 feet and includes a rechargeable battery. This application for Apple IOS or Android smartphones is designed to optimize your ORX experience. Key features are: Geo-locate, a real time map and the ability to make an inventory of your finds. 2 User Defined Programs: Customizable programs.